The following information can be used as a quick reference to assist dealerships with some of the more common questions about CARS e-Services. If you have additional questions you are welcome to email Debbie Stapleton-Korn or call the MADA office at (800) 292-1923. 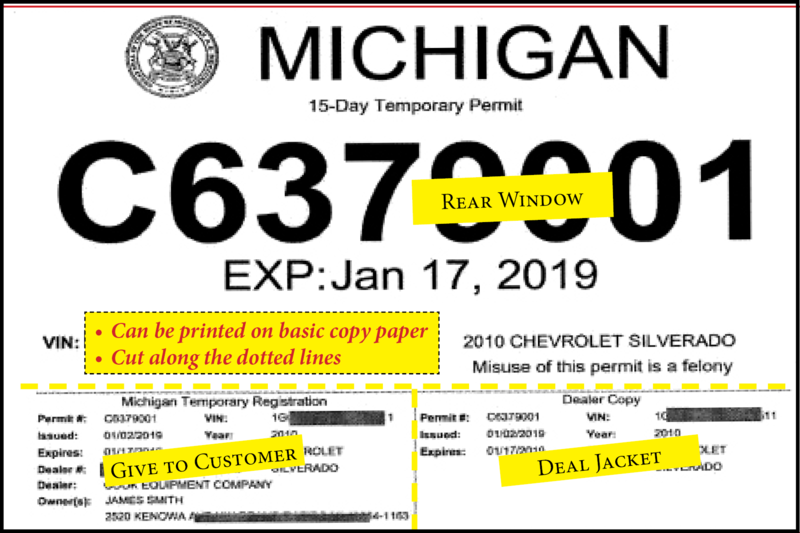 Each temporary permit will be a live registration with a serialized number tied directly to the vehicle record. This will allow law enforcement to determine whether the BFS-4 was issued for the vehicle in question. These forms MUST be printed through CARS e-Services. The state has created this tutorial to walk dealerships through the steps. For audit purposes, it is necessary to keep a record of unused BFS-4 stock. 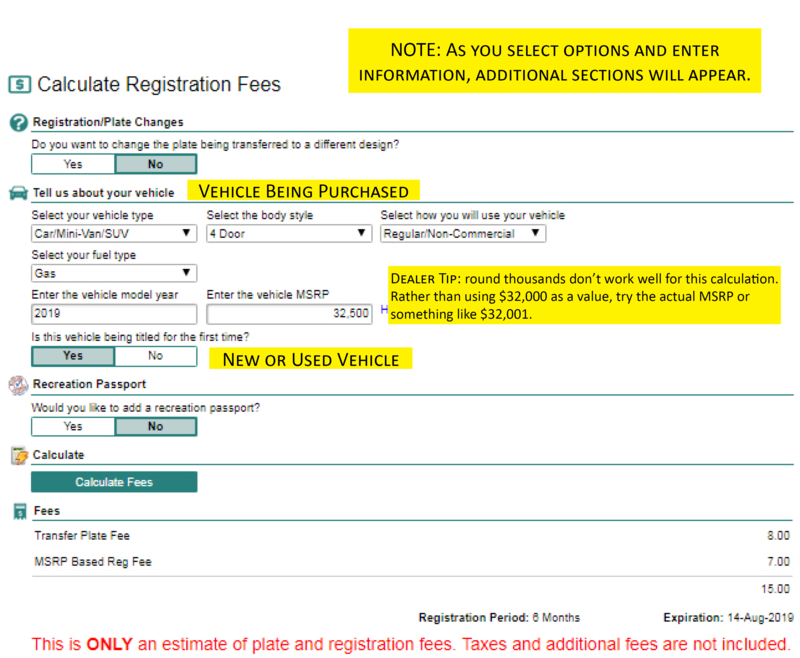 This can be done by individually listing the numeric code on each registration, or list as a range. Once a dealership has recorded the information, the old forms should be destroyed. Preferably in such a way that they cannot be stolen and improperly used. Can I void a BFS-4? Not through CARS. Click here for details from SOS. The “after hours” in-transit process remains as it was prior to CARS e-Services. Issue the BFS-4 to the customer. As soon as your branch office re-opens, process the in-transit registration. Forward the 30-day in-transit sticker and paperwork to the customer. Upon receiving the paperwork, the customer should return the BFS-4 to the dealership. Place the BFS-4 in the deal jacket. New vehicle dealers may assign (1) Account Manager and (2) additional users. These are the only individuals authorized to print BFS-4 temporary registrations. Additional users. If more users are needed you may request access for additional staff by contacting MDOS Business Licensing at licensing@michigan.gov. Allow 5 business days for the state to review your request. The reasons why the dealership needs additional staff to have access to CARS (be detailed). The name and title of each person who would like access. Please list by level of priority. What level of access for each person (Account Manager and/or BFS-4 issuer). When completing the RD-108 it is necessary to use the same value for both the Base MSRP line and the Fee Category or Weight box.